Vanka is a designer, educator and author—at the leading edge of physical and digital experiences for more than 25 years. He served as director of user experience at Microsoft, a tenured professor of design at the University of Illinois and a fellow at the prestigious Center for Advanced Study. Vanka has authored design books and other publications; lectured in more than 20 countries; and earned several industry awards. He’s also the chair of IDSA’s 50th anniversary International Conference, set for August in Seattle. Design has become synonymous with innovation. Corporations are betting on design leaders to show a path through unprecedented technological upheaval, heightened global competitiveness and radical business disruption. Professionals from other disciplines are augmenting their business and engineering backgrounds with a design-thinking mindset to become the new breed of corporate design leaders. To thrive and lead, designers, too, must supplement their own design skill sets with data-driven approaches, particularly of the metrics that matter. They must know the why, what, when and how to measure, and use that insight to manage change and drive design decisions. 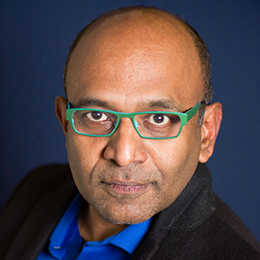 Surya Vanka, 2015 IDSA International Conference chair, will describe a robust and tested framework for measuring product, process and people capability.